Lipo-Visuals 12 Hole Acrylic Rack for neatly displaying your Lipo-Visuals nutrient tubes. 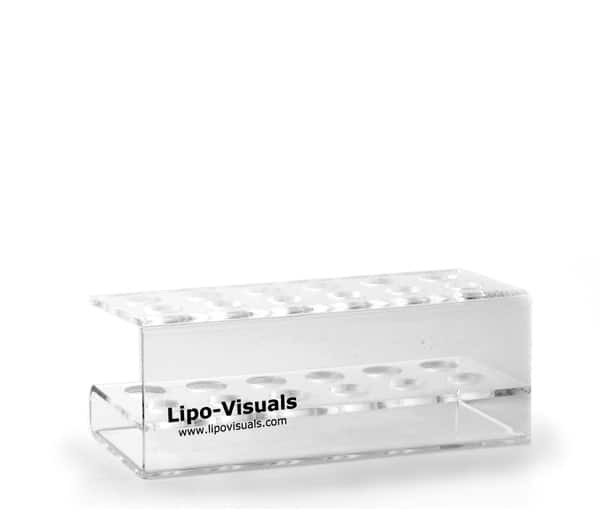 Sturdy, modern, 1/8 inch clear acrylic rack will display your Lipo-Visuals, Sugar-Visuals, Alcohol-Visuals or Fiber-Visuals in a neat clean presentation. 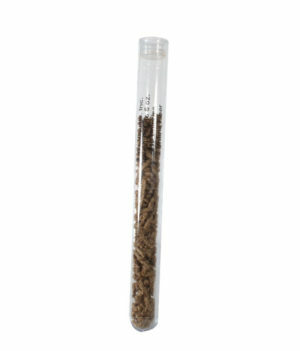 Without touching the tubes or removing them from the box, your teaching audience can view and compare the nutritional fat, sugar or fiber content of different foods. This 12 hole rack is smaller so you can display fewer foods, or just use it with each of your 12 pack sets. You may prefer to show one nutrient at a time. First sugar, then fat, then fiber!